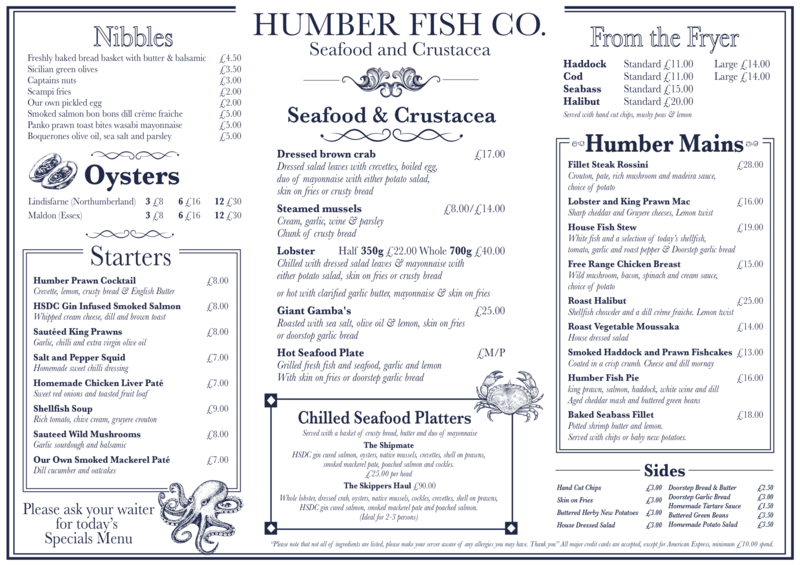 HUMBER FISH CO. Sea Food Restaurant, Humber Street, Hull. Reservations cannot be made via email. Relaxed informal dining. Locally-sourced fish and seafood, with comfortable leather seating, marble-topped tables and reclaimed driftwood adorning the walls.